In our latest TeachMeet the focus was on “The best ways for students to revise”. Below are some of the things that were discussed. Quizlet – A useful App and Website to create cue cards. Link here. Podcasts – Encourage students to record questions and answers on their smartphones and then test themselves. 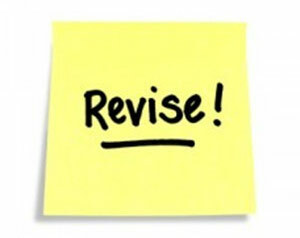 How to Revise Handout – An example of this has been done by the Law Dept. Click here to see it. A-Z of concepts – Easy classroom exercise where students have to list and explain a term for each letter of the alphabet. Lucky Dip – Box of student generated questions which random students can answer at the start of a lesson. Better use of Mark Schemes – Some discussion on students being familiar with Mark Schemes as it helps them understand what examiners are looking for. The Interview – pairs come up with analysis and evaluation questions and answers. They then interview 2 other students who have prepared answers. The job is awarded to the student who gives the best responses. Revision Showcase – More details here. QE Time Management Planner – this was seen as a useful resource for encouraging students to plan their revision, especially if it is completed with specific topics. Padlet – Useful resource for students ask and answer questions during study leave. An example can be seen here. Please get in touch if you need more information on any of these.